Lab suppliers interested in taking advantage of life science marketing opportunities and marketing university lab equipment in California may want to look into Biotechnology Calendar, Inc.’s San Diego Biotechnology Vendor Showcase™ Event coming up on February 13th, 2014. Biotechnology Calendar, Inc. organizes top quality on-campus life science marketing events that attract large crowds of researchers intent on learning about the newest and best lab equipment on the market. In 2012, the NIH awarded the University of California, San Diego $395 million in research funding. 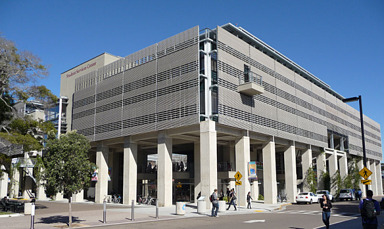 In addition to receiving a great deal of funding from the NIH, the University of California, San Diego also received $70 million from the NSF in 2012. For more NIH and NSF funding information on the University of California, San Diego, including a list of the best NIH-funded departments organized by department name, number of awards received and total funding awarded, please read our article Life Science Marketing Events Upcoming at Well-Funded UCSD. Biotechnology Calendar, Inc. life science marketing events provide lab suppliers with the opportunity to make researchers think about who they are buying their lab supplies from. Perhaps a researcher at the University of California, San Diego purchases their supplies from a competitor. By exhibiting at our San Diego event, you can bring attention to the fact that your products are more attractively priced, higher quality, time-saving or better for the environment. Our life science marketing events are valued highly by lab suppliers because we provide a comfortable yet professional space where researchers feel at ease talking about the products they need to solve problems they may be having in the lab. Attendees have purposely taken time out of their day to meet sales representatives and learn about the new products and services available to them. Since our life science marketing events are only a short walk from the laboratory or classroom, they are convenient and well-attended. We offer lab suppliers customizable life science marketing opportunities through our sponsorship packages. With a Gold, Silver or Bronze level sponsorship, lab suppliers have access to full-page, half-page or quarter-page features in our event program. Gold-level sponsorship packages will give lab suppliers access to a seminar space, distribution rights to lanyards and event bags, and a quality-checked leads list at the end of the event. Lab suppliers interested in marketing university lab equipment and taking advantage of life science marketing opportunities in California may be interested to know that last year, our San Diego Biotechnology Vendor Showcase™ Event attracted 644 attendees, of which 214 were purchasing agents, professors and post docs, and 83 were lab managers. The visitors came from 54 different research buildings and 61 departments across campus. Biotechnology Calendar, Inc. is a full-service science research marketing and events-planning company that organizes life science marketing events at top research institutions nationwide. If you are interested in life science marketing opportunities and marketing university lab equipment at life science marketing events closer to home, we encourage you to view our 2014 calendar of events. For more detailed funding statistics on the University of California, San Diego or more information on our San Diego Biotechnology Vendor Showcase™ Event, click on the button below.